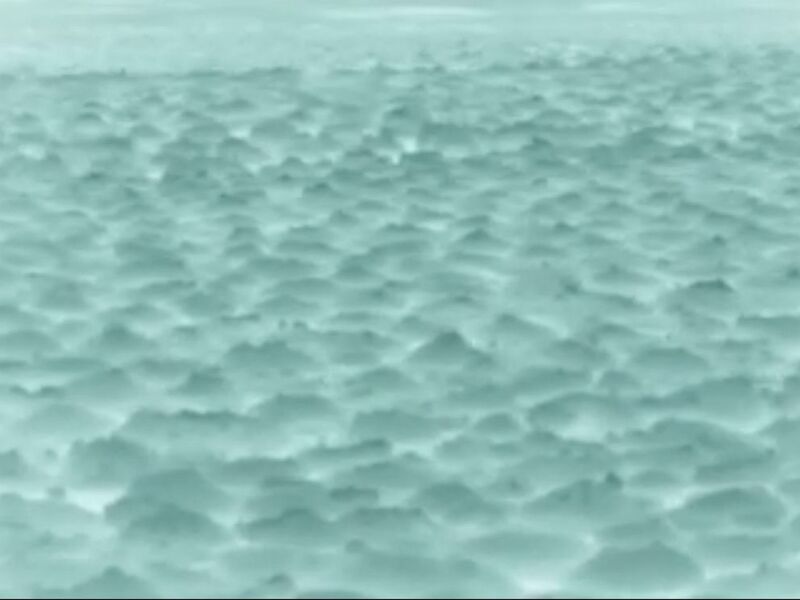 "Waves of snowballs" in Sebago Lake, Maine were recently caught on video by a local artist who described the stunning natural phenomenon as "being on some other planet." Land art and sculpture artist David Allen, who lives in the town of Sebago Lake, told ABC News today, that he witnessed the peculiar sight this past Tuesday after the first snowstorm of the year hit the area. Allen explained he was originally at the lake to take photos of artwork he made nearby. Though the "waves of snowballs" appear to be chunks of ice on video the artist took, Allen wrote on Facebook that he "fished out a couple of the balls, and sure enough, they broke apart and were very slushy, definitely not ice." PHOTO:Artist David Allen posted this video to the Facebook page of his art studio Stone Point Studio on Dec. 29, 2015, of what appears to be "waves of snowballs" in Lake Sebago in Maine. "The area where this was shot had a small stone jetty that acted as a catch and prevented the balls from continuing on down the shoreline," he explained further. "It seems to me, that this had a lot to do with the snow from the storm somehow accumulating in this way, in this very particular spot." He added that "his best guess, was that it was SO cold and windy, that when the snow hit the water, it didn't melt, but instead, remained as slush on the surface. This slush then got stuck in this area, and through wave and wind action, turned into these very uniform balls." Allen's videos shared to his art studio's Facebook page had over 140,000 views and over 2,000 shares as of this morning.